I love 'em, I am addicted to 'em, I buy and get more then I can play. This year I was very lucky both to myself via great sales and from some great friends. I have a much larger library now and even less time to play then before. 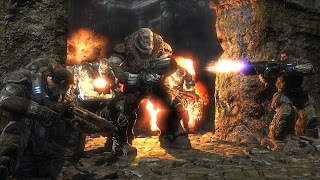 Gears of War - Yes the original, I cannot believe this was a launch title for the X360, it looks amazing, has innovative features and is an adrenaline fueled amazing ride. There are some annoying issues with the cover system and I really dislike the chunky character models (they look great, everyone simply looks like they are suffering from Roid rage). 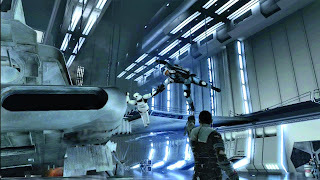 Star Wars: The Force Unleashed - Wow, this game looks absolutely incredible. The textures, environments and effects are universally great. 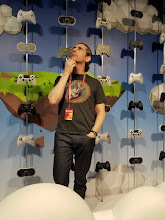 Cinematics are wonderful, voice work is great, the game? A little bland. 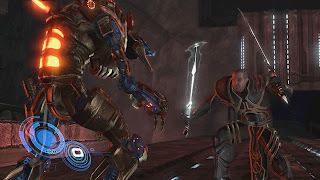 It plays exactly like last gens Revenge of the Sith from a combat and upgrade methodology, more innovation would have been appreciated. 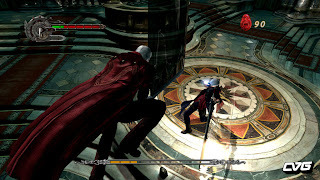 Devil May Cry 4 - Helluva lot of fun. It looks great, stylish, amazing action and wonderful production values. Haven't played much, but the game is really fun and the addition of the devil arm is really neat as far as combos go. 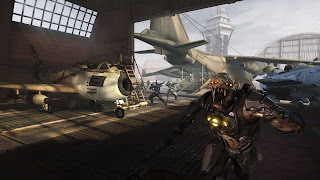 Resistance 2 - Woot, this game is awesome...great graphics, engaging story, amazing multiplayer, this game has it all. Loving every minute of it and no frustrations or negatives to speak of as of yet. Viking: Battle for Asgard - Deeper then I thought and the graphics are really, really good. You talk, customize, take missions and kill in really satisfying ways. It is mindless fun in the vein of the Conan game, but that is really good sometimes. 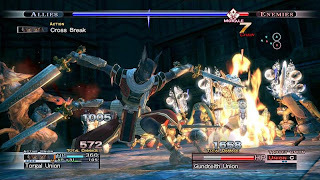 The Last Remnant - Really fun despite itself. 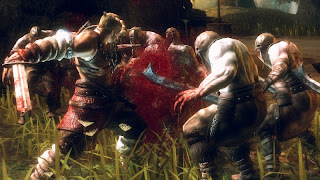 I like the designs, the world and the combat system, it is strategic and fairly deep. The horrible programming, bad texture draw in and ridiculous loading times (and frequent!) will put off many players which is unfortunate. I probably would have given in as well, but I am reviewing it so I have to keep trying.